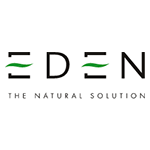 In the long run buying shares in companies that break accounting rules, commit fraud and which are running out of, other people's, money is a recipe for poverty and thus AIM listed fraud Eden Research is my second share tip of the year, like my first (Cloudtag HERE) it is as a sell. The shares are now xxp but this is a sell at any price down to 0p. Frauds are always worthless in the end.